Henry Bucher speaks with Dr. Albert Schweitzer (in white) in 1965. 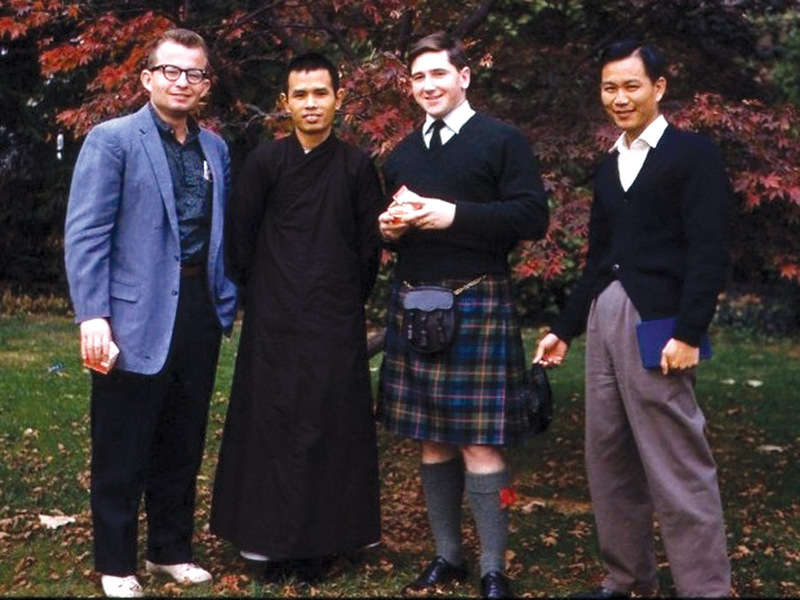 For Henry Bucher, Jr., all life is mission: global and local. In 1985, he came to Austin College as chaplain and associate professor in humanities, where his interests in faith and peace with justice continue to reach beyond the College and north Texas. During the 2012 Homecoming Alumni College, he shared highlights of his travels and personal intersections with history in the making. Henry was born to missionary/educator parents in China. When Japan invaded Hainan in 1939, bombing raids required Henry’s furlough-bound parents to leave all they owned, abandon their Model A on the beach, and load their three toddlers onto a Chinese junk bound for Haiphong (then French Indo-China). Returning to Asia a year later, they soon were relocated to the Philippines as the Sino-Japanese situation worsened. The Buchers were living inManila when, hours after the attack on Pearl Harbor, bombs announced the Japanese invasion of the Philippines. Henry was 5. Missionary families from Allied countries were put under house arrest. Later in WWII, the Buchers were taken to the Japanese concentration camp at Los Baños, where systematic starvation permanently harmed all interned. 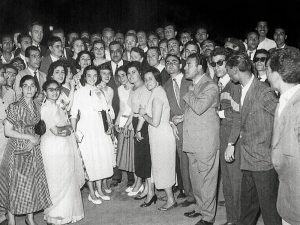 Henry and other American University of Beirut students pose with Egyptian President Gamal Abdelnasser, who invited them to view the damage after the Suez Canal was invaded in 1956. Days before Henry’s ninth birthday, the U.S. Army 11th Airborne Division, aided by Filipino guerillas, dropped rescuing paratroopers near the camp, just 10 minutes before a dawn “kill order” was to trigger execution of the 2,147 surviving Los Baños internees. In 1947, all the Buchers returned to Hainan Island. For seventh grade, Henry was sent to Shanghai American School—but evacuated eight months later to a Navy hospital ship as communist forces approached Shanghai. Once reunited, the Bucher family repatriated to the U.S. until Henry graduated from high school. At Davidson College,Henry chose a Junior Year Abroad programat American University of Beirut (AUB), Lebanon, followed by a summer service project in the Cameroun. Henry returned to AUB for his senior year; between semesters, he took his longest bus ride ever: Beirut, Damascus, Baghdad, and Teheran; returning by train through Abadan, Basra, Ur, Kish, Babylon,Mosul (Nineveh), Aleppo, Hama, Homs, and Tripoli. Henry visited his parents in Thailand when civil war in Lebanon delayed his graduation. He left the Middle East via Israel, where he helped build homes for Jewish Iraqi immigrants. Henry poses next to Mr. Bao (now Thich Nhat Hanh) and other international students at Princeton Theological Seminary. World leaders were guest lecturers at the University College of Legon, Ghana, as Henry enrolled for his seminary year abroad, using every opportunity to visit neighboring countries.He returned to Princeton overland to Senegal, flew to Brazil, and then traversed the southern Americas by trains, buses, and hitchhiking. His last year at Princeton, Henry developed a friendship with “Mr. Bao,” known now as Thich Nhat Hanh, the Vietnamese peacemaker, Zen master, philosopher, and author. 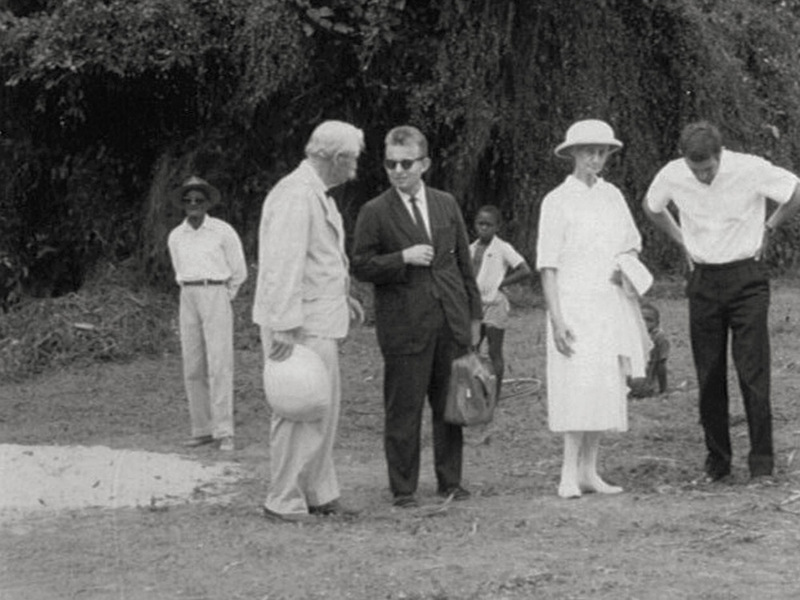 When Dr. Albert Schweitzer turned 90 in 1965, Henry was working as a youth pastor in Gabon, and was briefly recruited as interpreter for the LIFE magazine team covering the celebration. Henry made a third trip to Gabon in 1974 as a Fulbright/Hays Fellow, finishing doctoral research on the Mpongwe. Henry believes his most career-impacting decision was to choose a Junior Year Abroad (JYA) program where he could “be a fellow student with those who, in half a generation, may decide between peace and war,” as his JYA letters to his family accurately predicted. 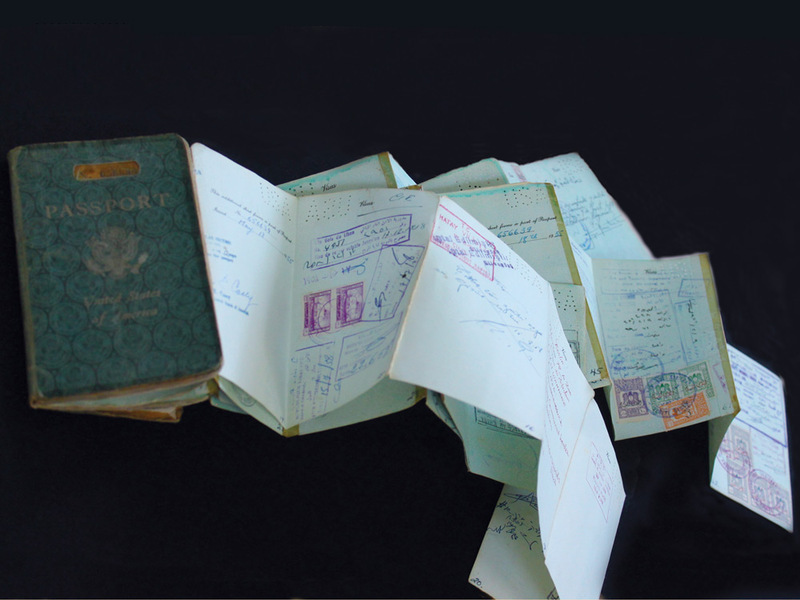 Henry’s passport in the 1950s required the addition of several pages to contain documentation of his many travels. Through Austin College, he has been able to share global education opportunities with new generations of students. His Jan Term classes have traveled to Jordan, Egypt, Israel/Palestine, Syria, India, Cuba, Haiti, South Africa and Namibia after Apartheid, Burkina Faso, The Gambia, Senegal, and Mali (2002, 2004, and 2006 January Term trips also included Timbuktu.) International Alternative Spring Breaks helped Austin College students serve throughout Central America. Today, Henry and his wife, Cat, live a view blocks from campus, and he continues teaching courses on the Middle East and Africa, is writing about the Mpongwe and Benga of Gabon (19th century), and is considering requests to publish the prayers he invoked at Austin College.